Save On Your Commercial Ford Fleet near Bloomington, IL | Heller Ford Sales Inc. If you're a small-business owner in Illinois and are in need of a dependable fleet of commercial vehicles, come to Heller Ford Sales! At our Ford dealership near Bloomington, IL, we know how hard you work to keep your business operating smoothly. That's why we want to team up with you to help you build your Ford commercial fleet for less at our dealership. 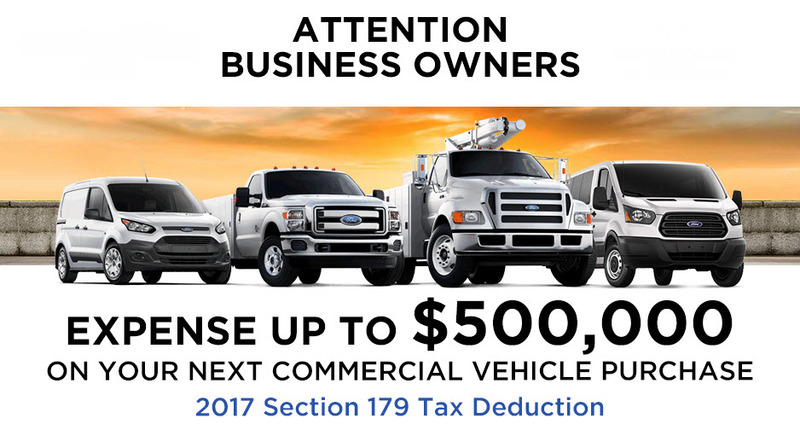 Whether you need a new commercial van or truck, you can save up to $500,000 when you invest in new equipment at our Ford dealership! If you want to power your team with a lineup of dependable, durable and powerful new Ford commercial vehicles, now's your chance at Heller Ford Sales. Hurry though, as you only have until December 31, 2017, to apply for this year’s Section 179 Tax Deduction!